Ms. Maude Eugenia Finch, age 55 of 77-A Barbara Battle Way Americus, Georgia, died on Saturday, January 30, 2016 at her residence. Funeral services will be Saturday, February 6, 2016 at 11:00 A.M. at the Friendship Baptist Church with Rev. Clinton Aldridge officiating. Burial will follow at the Eastview Cemetery. Ms. Maude Eugenia Finch was born in Americus, Sumter County, GA on February 27, 1960 to the parentage of Tommie Mae Foster and the late Jessie Foster, Jr.
She attended public school and graduated from Americus High School in 1979. She later became a member of Love and Mercy Outreach Church under the leadership of the late Rosa K. Fowler. She is preceded in death by her grandparents; Charlie and Eva Finch, her stepfather, Jessie Foster, Jr. and an uncle, Alvin Finch. She leaves to cherish her memory, one daughter, Yashica Finch, Atlanta, GA, her mother, Tommie Mae Foster, Americus, GA; one Grandson, Cameron Douglas, Atlanta, GA; one sister, Debra Wright, Stone Mountain, GA; two brothers: Michael Jerome (Cherie) Finch, East Point, GA and Corwyn Dale (Gaea Daniel) Foster, Ellenwood, GA; two step-brothers: Jessie Clayton and Lorenzo Clayton, Americus, GA; two uncles: Charles (Charlie Mae) Finch, Atlanta, GA and James (Ilene) Finch, Americus, GA; three aunts: Dorothy McKinnis, Hartford, CT, Thelma Hawkins, Bloomfield, CT and Inez Finch of Marietta, GA; A host of nieces, nephews, cousins, other relatives and friends, including a devoted friend, Eula Butts also survive. The family will be receiving friends at the home of her mother, Ms. Tommie Foster 228 West Lester Street. Funeral services for Mr. Thomas Wayne Ross of 101-A Waitsman Dr. Americus, Georgia will be held on Monday, February 1, 2016 at 11:00 A.M. at the Friendship Baptist Church with Bishop Melvin McCluster officiating. Burial will follow at the St. Luke Cemetery. Mr. Thomas Wayne Ross was born on July 31, 1951 in Americus, Georgia to the late Mrs. Alice Green Johnson and the late Willie James Johnson. He was educated in the Sumter County School System. Thomas was employed for several years at Seaboard Coast Line Railroad and was a member of the Iron Horse Social Club. Mr. Ross died on Tuesday, January 26, 2016 at the Phoebe-Sumter Medical Center in Americus, Georgia. Left to cherish his memory are six children: Avian Monqui Clemons of Americus, Georgia, Nina Barker of New York, New York, Schedata Sanford, Lanelle Barker, Ivona Barker and Miya Barker all of Americus, Georgia; three sisters: Rebecca Johnson of Dallas, Texas, Cynthia Babin of Columbus, Georgia and Anna Lumpkin of Americus, Georgia; one brother, Eddie James Johnson of Plains, Georgia; one uncle, James Hiawatha Ross of Americus, Georgia; eighteen grandchildren; two devoted family friends: Eva Jackson of Americus, Georgia and Barbara Jackson of Columbus, Georgia; several other relatives and friends also survive. 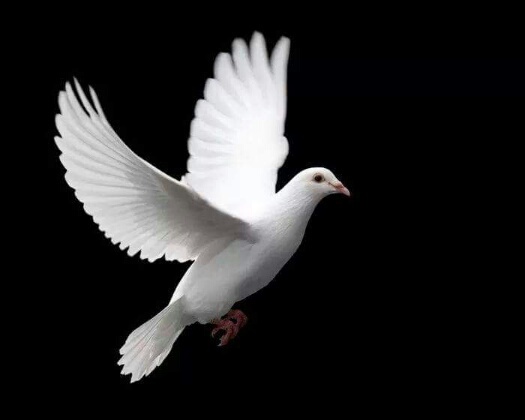 Funeral services for Mr. Melvin Cottle, of Jefferson Street Americus, Georgia will be held on Saturday, January 30, 2016 at 10:00 A.M. in the Chapel of West’s Mortuary in Americus, Georgia with Rev. William Laster officiating. Burial will follow at Staley Memorial Gardens. He leaves to cherish his memories one daughter: Merol Cottle, three brothers: Ollie Robert Cottle, Brooklyn, NY, Horace Cottle, Leslie, GA and Kenneth Myrick Atlanta, GA a devoted niece, Elmira King, Tucker, GA, a devoted nephew Cassius L. King, Americus, GA, a devoted friend: Mr. Paul Preskitt, and a host of other nieces, nephews, relatives, and friends also survive. 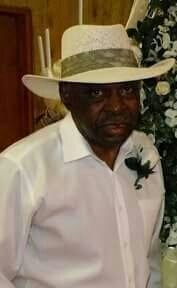 Funeral services for Mr. Lewis Hawkins age 66, of 1638 MLK Blvd Americus, Georgia will be held on Friday, January 29, 2016 at 1:00 P.M. at the Old Shady Grove Baptist Church in Americus, Georgia with Pastor Jesse Watts officiating. Burial will follow at Staley Memorial Gardens. Mr. Lewis Hawkins was born on September 12, 1949 in Americus, Georgia to the late Rosa “Auntee” Patterson. He was educated in the Sumter County School System. At an early age he join the Old Shady Grove Baptist Church. Lewis was employed for over fifteen years at Fairfield Trucking Company in Hambury, Arkansas and the last two years at Middle Flint Council on Aging. On January 16, 1974 Lewis married the late Annie Ruth Hawkins. Lewis died on Tuesday, January 26, 2016 at his home in Americus, Georgia. He was preceded in death by a brother Frank Patterson. Left to cherish his memory are five children: Alisia (Vincent) Britt-Duck, Broderick Antwoine (Natavia) Hawkins, Lewis Jeffery (Lakeshia) Hawkins, Tawana Shai (Dedrick) Turnipseed and Jeremy Rashaan (Brittany) Hawkins; seven grandchildren: Ja’Quessia Lawson, Lewis Javon Hawkins, Anthony Hawkins, Traivian Reynolds, Trinity Hawkins, Madison Hawkins and Adelle Hawkins; six siblings: Gregory (Joyce) Patterson, James (Gracey) Patterson, Patricia Jackson, Barbara Terry (Late Walter), Debra (John) Hall and Reginald “Nitty” (Sandra) Patterson; several other relatives and friends including a devoted friend Ms. Rhonda Reddick, Pip, Johnny, Alvin, Joe, Calvin, Stick, Ulysses and Jethro also survive. Funeral services for Mr. Richard Danlento Roberts of Americus, Georgia will be held on Saturday, January 30, 2016 at 1:00 P.M. at the Old Corinth Baptist Church with Pastor Dr. C.L. McKinstry officiating. Burial will follow in the church cemetery. A Time to Be Born… Richard Danlento Roberts Sr. was born on July 14, 1939 in Sumter County GA. to the late Mr. John Roberts and Mrs. Inez Gaines Roberts. A Time to Live… Richard was educated in the Public school of Sumter County. At an early age he joined the Old Corinth Baptist Church. He was married to the late Mrs. Elsie Mae Searcy Roberts and to this union 10 children was born. During his life span he touched many lives, he loved to cook and enjoyed spending time with his family and his grandchildren which always made him smile. A Time to Die… Richard departed this life and entered into his eternal home on January 23, 2016. In addition to his parents and wife he is preceded in death by a son, Richard Dalento Roberts Jr. and two sisters; Ozzie Mae Cooper and Emma Roberts and one granddaughter, Shawanda Monique Roberts. Funeral services for Mr. Kirk D. Robinson of Smithville, Georgia will be held on Saturday, January 16, 2016 at 11:00 A.M. at the Jerusalem Grove Baptist Church in Smithville, Georgia with Rev. Tony Smith officiating. Burial will follow at the church cemetery. Mr. Robinson died on Friday, January 8, 2016 at the Phoebe Putney Memorial Hospital in Albany, Georgia. Mr. Kirk Dwayne Robinson was born in Smithville, Georgia on March 19, 1956 to Mrs. Izola Robinson West and the late Mr. Luscious Orange, Sr. He was educated in the Lee County School System. In 2014, Kirk accepted the invitation to receive Jesus Christ as his Lord and Savior. In the last several years, Kirk lived at the Lillian Carter Nursing Home in Plains, GA, where he received 24 hour specialized care for his physical needs. In spite of many challenges and struggles he has had with his health, Kirk always managed to maintain a good spirit. He will be remembered dearly for his smile and sense of humor, a man of very few words, yet deeply spoken. Those that had the honor to know him had grown very fond of him. His sudden passing has been a constant reminder of how we should cherish every moment we can with the ones we love. We can never know if that one moment will be the last. He was preceded in death by his grandparents: John and Ola Mae Terry, Leonard and Mable Champion and Moses, Sr. and Josey Butts. He was also preceded in death by his brothers: M C Robinson, Luscious Orange, Jr. and Marvin West; his aunts: Mae Vessa Trice, Annie Lloyd and Bessie Hunter; and his cousin James Trice. Precious memories of Kirk are forever cherished by his mother, Mrs. Izola Robinson West of Smithville, GA; his wife, Nancy Robinson of Smithville, GA; three children: Fredrick Bryant, Sr., Albany, GA, Dacy Robinson, Sr., Thomasville, GA and Michael Robinson, Ft. Mitchell, AL; two stepchildren: Huron Robinson, Americus, GA, and Centari Robinson, Smithville, GA; ten grandchildren: Fredrick, Jr., London, Dacy, Jr., Dashon, Darrius, Makayla, Samari, Jocelyn, Centari, Jr. and Jacory; ten sisters: Viola West, Smithville, GA, Beverly Dingle, Plains, GA, Shelia Smith, Gretel Smith, both of Smithville, GA, Vaturnia Ingram, Americus, GA, Evette Johnson, Vanessa Chambers, Janice Bouyer, Nanette Orange and Patricia Hodges, all of Miami, FL; three brothers: Larry Robinson, Smithville, GA, Curtis West, Hinesville, GA and Gregory West, Americus, GA; six brothers-in-law: Chris Dingle, Levi Smith, Elder Wallace Ingram, Charles Bryant, William Bryant and Terrance Green; four sisters-in-law: Stephanie West, Priscilla West, Doris Harris and Tracey Green; five aunts: Rosa Thomas, Yolanda Williams, Louise Childs, Barbara Matthews and Virginia Carter; three uncles: George Fish, Moses Butts, Jr. and Arthur Orange; two devoted friends: Thomas and Gene Gibson; an exceptionally devoted sister Shelia Smith, and a host of nieces, nephews, cousins and friends also survive. Funeral services for Mr. Lu-Keldric Clark will be held on Tuesday, January 12, 2016 at 11:00 A.M. at Mt. Pleasant/Travelers Rest CME Church in Montezuma, Georgia with Reverend Sydney L. Kendrick officiating. Burial will follow at the Champ Waters Cemetery. Lu-Keldric Wesley Clark, son of Pharies Elaine Turner Clark and the late Jimmie Lee Clark, was born September 8, 1976 in Americus, Georgia. He grew up in Montezuma and attended the public schools of the county. Lu-Keldric was a member of the class of 1995 at Macon County High School. He continued his studies in Computer Science at South Georgia Technical College in Americus, Georgia. At an early age, Lu-Keldric accepted Jesus Christ as his personal savior and joined Travelers Rest CME Church where he worked diligently as an usher and Junior Steward. Lu-Keldric worked at various jobs including Southern Frozen Foods, Perdue, and Richmond Cold Storage Warehouse. His most recent position was at Gilmer Warehouse and Logistics where he was named Employee of the Month on numerous occasions. Lu-Keldric was a kind, loving person who enjoyed sports. His favorite football team was the New England Patriots. Lu-Keldric departed this life on Wednesday, January 6, 2016 at Houston Medical Center in Warner Robins, Georgia. Precious memories are forever cherished by his mother, Pharies Elaine Clark of Montezuma, Georgia; siblings: James and Angela Clark of Marianna, Florida, Andre Clark of Decatur, Georgia, and Sarvondre Clark of Montezuma, Georgia; his niece, Myeisha Clark of Panama City, Florida; great aunt, Pharis L. Dean of Conyers, New York; aunts and uncles: John and Viderial Clark of Oglethorpe, Georgia, Patricia and Eddie Clark of Decatur, Georgia, Daisy Sniffins of Atlanta, Georgia, Raymond and Patricia Rumph of Riverdale, Georgia and Lois Clark of Montezuma, Georgia; a special aunt, Elizabeth R. Turner of Atlanta, Georgia; Godmother, Minnie J. Hix of Jamacia, New York; Godsisters, Regina and Shelby Smith of Warner Robins, Georgia; a host of other loving relatives and friends. Graveside services for infant Ausha Noelle Roberts of Americus, Georgia will be Thursday, January 7, 2016 at 11:00 A.M at the Lebanon Cemetery in Plains, Georgia with Co-Pastor Sherry Thomas officiating. Ausha Noelle Roberts the infant daughter of Unastashia Teagra Sales and Quinton Rashad Roberts was born on Sunday, January 3, 2016 at Phoebe-Sumter Medical Center in Americus, Georgia. Our Lord and Savior saw His precious Angel struggling for life and decided to remove all of her pain and take her Home with Him. Left to cherish her memories are her parents: Unastashia Teagra Sales and Quinton Rashad Roberts both of Americus Georgia; her brother, Brendon Rashad Roberts; grandparents: Annie K. Sales of Americus, Georgia, Priscilla Roberts of Austell, Georgia, Christopher Sales, Sr., Mr. & Mrs. Rodney Tyson and Linda Tyson all of Americus, Georgia; aunts & uncles: Christopher Sales, Jr. Shyketta Brown, Chavonta Roberts, Justin Roberts, Jarvis Tyson, Shaketia Tyson and Kaylah Tyson, several other relatives and friends also survive.